TouchPro has had a presence in the UK since the Summer of 1991 when TouchPro Senior Trainer, Russ Borner, taught a class in London. A couple of his students began unaffiliated training organizations soon after and taught their version of the TouchPro approach to dozens of new students. A few years later David Palmer met one of the practitioners trained by these unofficial programs, Alisdair Burcher, doing chair massage at a London health show. David was impressed with Ally’s commitment to chair massage and his desire to have a high standard of training for his practitioners. In 1997, David asked Ally to set up TouchPro UK with the help of Michael Zimmerman who had learned chair massage at David’s old massage school while living in San Francisco. 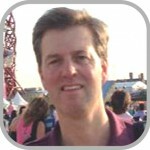 Michael became TouchPro UK’s Senior Trainer and he and Ally have been providing TouchPro training in the UK ever since. In 1991, after qualifying in holistic massage and on-site chair massage, Alisdair realized that shorter seated sessions were a great way of introducing more people to massage, so he set up StressBusters, the first registered mobile massage company in the UK. Since then, StressBusters has been offering on-site chair massage to over 600 UK companies. Stressbusters also provides stress management workshops and one-to-one coaching for companies, which has proven to help reduce workplace stress and absenteeism. Alisdair’s personal experience with bodywork has had a profoundly beneficial effect on his health and wellbeing, allowing him to cope with the demands of being a single parent, and inspiring him to give up an unfulfilling job. He is passionate about helping other people also discover meaningful work. Michael spent seven years prior to starting his massage career running the family army surplus clothing business and was desperate for another life. With intuitive guidance he found himself directed towards massage and signed up for a weekend introductory course in London. This marked the beginning of an exciting new life away from the family business and now with the influence of Armisted Maupin’s novel, Tales of the City, and a call to the AMTA, he was off to San Francisco and The Amma Institute, where he learned Amma and chair massage. This is also where Michael met David Palmer, the founder of The Amma Institute. Their meeting led to various massage collaborations and an enduring friendship. After returning to London in 1992, Michael met up with Ally at his London School of On-Site Massage where they collaborated on massage techniques. 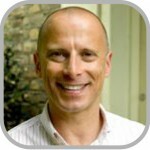 Michael left to pursue other interests but came back together with Ally in 1998 to form TouchPro UK with David. Twenty years and almost forty thousand massages later Michael still loves seeing the effects of massage on people who had forgotten how good they can feel and also how good the “dance” of giving a massage still inspires him after all these years.